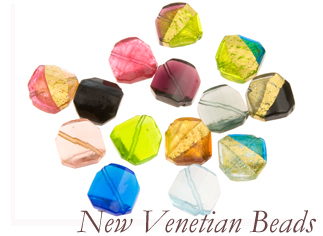 Current Active Promotions at VenetianBeadShop.com along with the latest Collections, a visual delight in colors and styles of Venetian Beads. 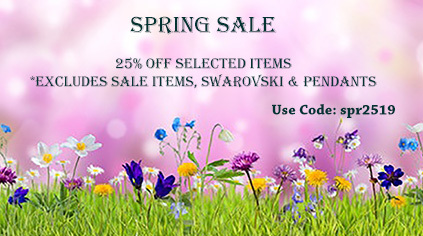 Click on the Picture to shop the related products. 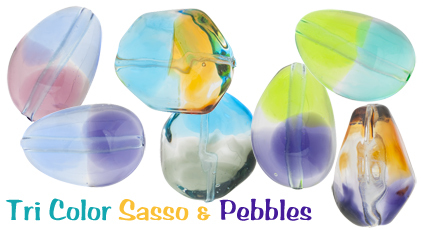 We will no longer be carrying these items. 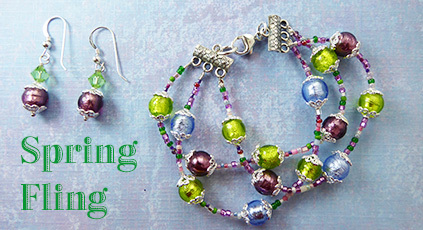 Make this Spring Design featuring our Silver Foil Venetian Beads. 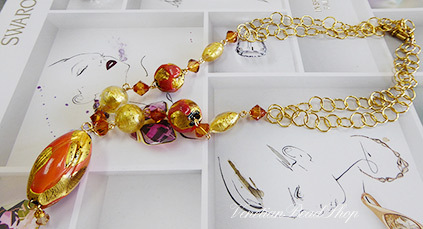 Make this simple yet elegant necklace. 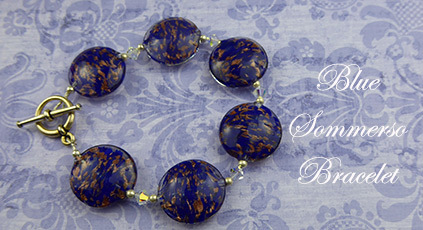 Even a beginner can make it and be proud to wear to the board room or the ball room. 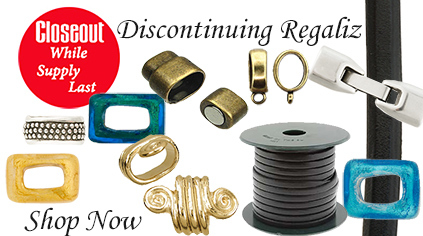 Items will be discontinued, limited to quantities on hand. 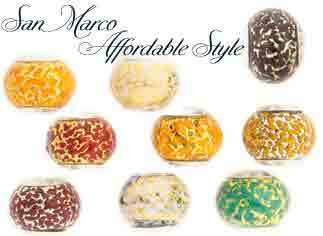 Features our Premium Italian Chain and authentic Murano Glass Beads. 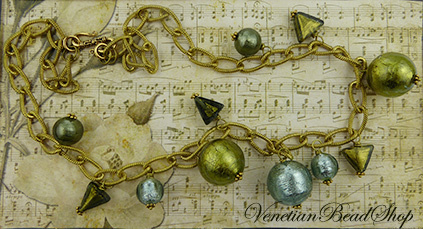 Make this beautiful Baroque Necklace. 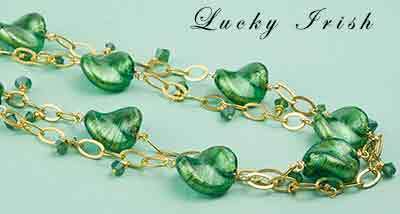 Make this bracelet in 20 min! 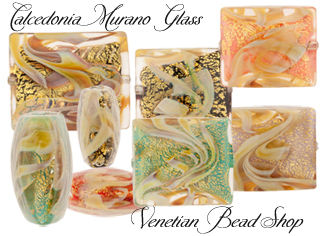 Introducing the latest in from Murano, our double layered beads featuring warm colors subdued by the second layer of aventurina. 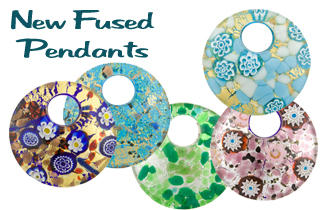 They are available in 40mm and 25mm. 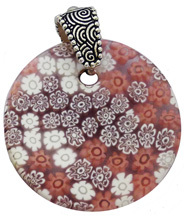 We have incorporated the larger one into a necklace design. 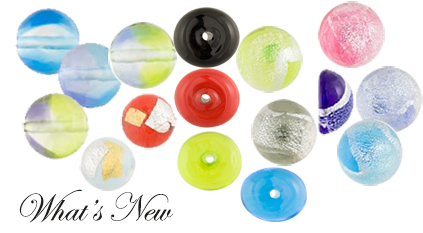 The 25mm will make great earrings as well. 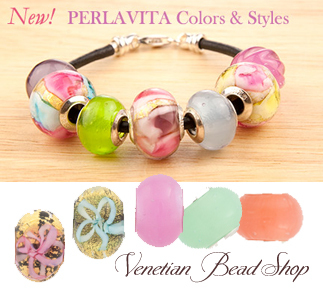 Take a look at our new Perlavita Beads in a variety of colors and designs. 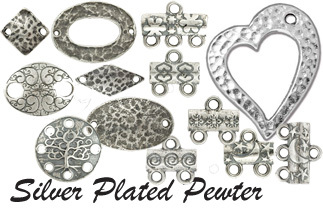 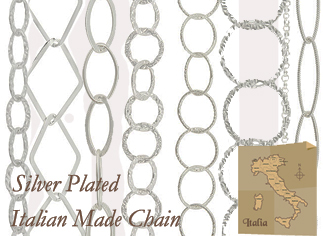 They feature Sterling Silver or Vermeil Inserts and fit on most all European Bead Bracelets. 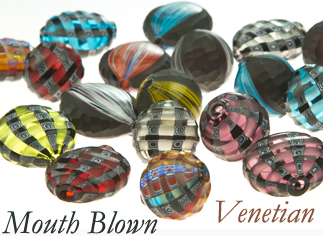 Check out these New Mouth Blown Beads. 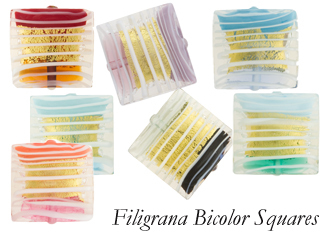 The transparent colors are dramatized with the addition of the fine filigrana lines. 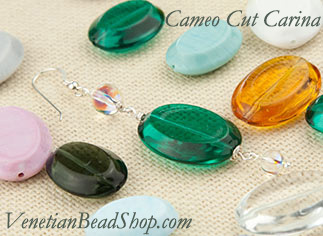 They make great earrings as they are lightweight. 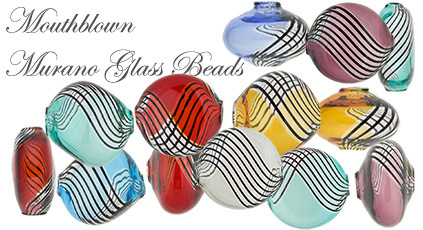 Each bead has been fully annealed for strength. 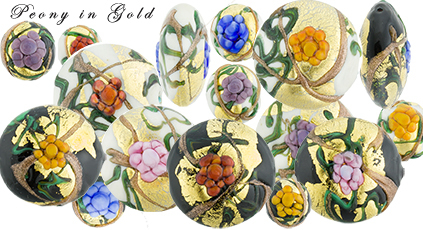 These just in, new designs in our Peony Collection, featuring a band of gold with the lampwork peony sitting on top. 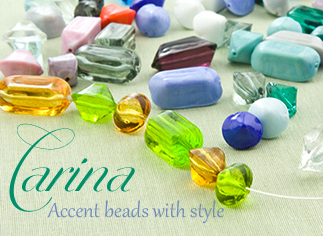 Great beads to welcome in the spring. 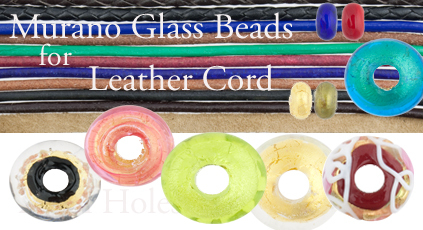 Take a look at our new 2mm hole beads - perfect to use with our new leather cords. 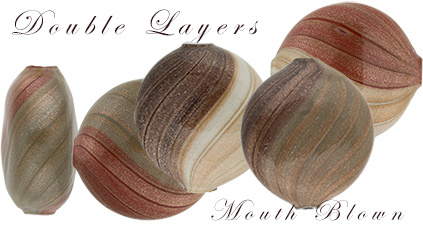 We will be adding more and a slightly larger size shortly. 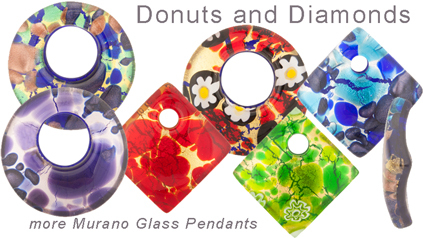 With these colors and sparkle they reminded us of the beaches of Lido so they are our Lido Line. 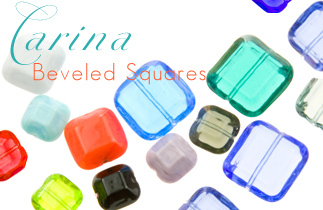 We designed these to match all our transparent colors. 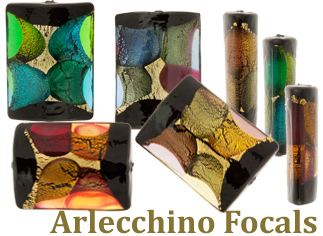 the base of clear Murano glass and blended colors give them a new look. 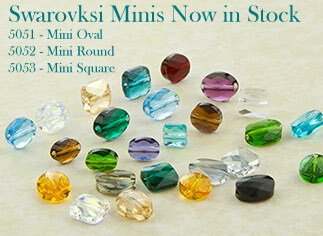 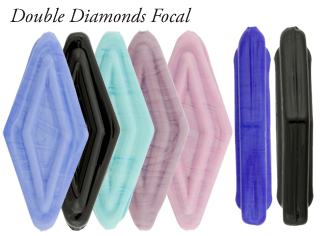 they also match the new Swarovski blends. 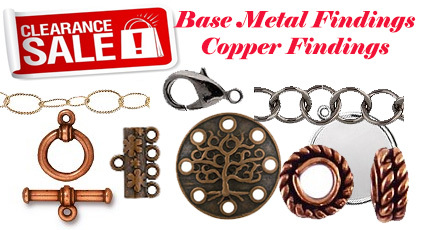 Free Shipping: Standard Shipping, our choice of method. 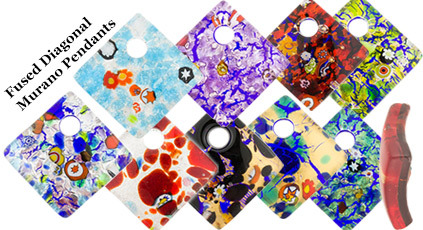 Orders over $35USD excludes Taxes and is the total after discount (Limited to US). 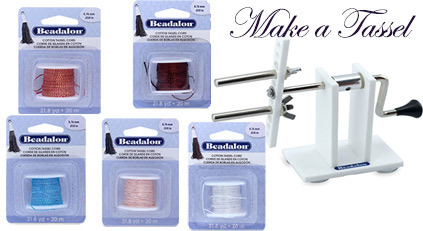 Free Shipping Excludes our Gift Items such as Christmas Balls, Necklaces & Large Blown Balls, Bead Boards, Beading Mats, Stamping Tools (large bulky, or heavy items) Wire. 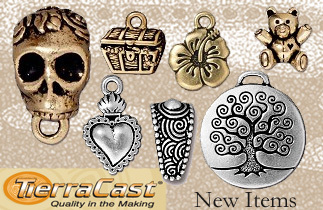 The shipping for these items will be added to your cart. 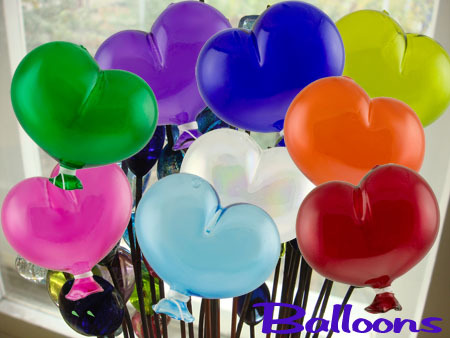 We only charge the exact shipping amount. 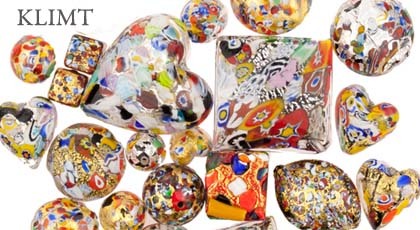 International Orders shipping costs will be calculated based on weight. 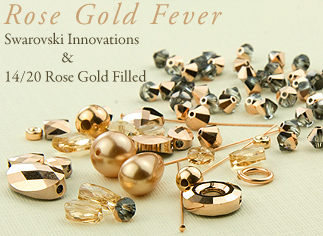 These KLIMT 24kt Gold Foil and .925 Foil beads are inspired by the Austrian symbolist painter, a member of the art nouveau movement and particularly by his "Golden Phase" where many of his paintings utilized gold leaf. 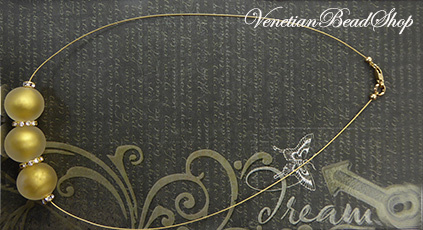 Klimt traveled to Venice where the gold mosaics were said to have influenced these works. 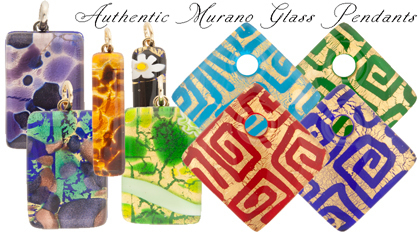 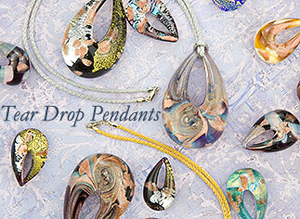 Jewelry with a simple cord and one of these fantastic Murano Glass Fused Pendants. 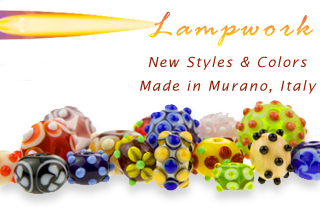 They are available in many sizes, shapes and endless colors patterns. 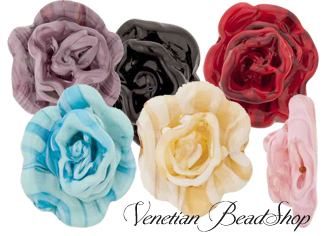 Glass Beads in our Peony Design. 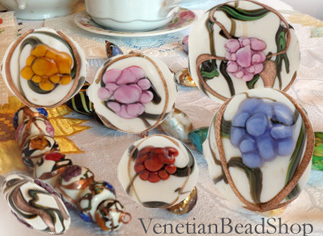 cut Cameo authentic Venetian Glass Beads. 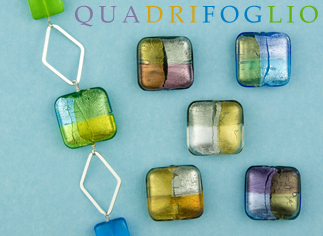 Available in 2 sizes and make great earrings. 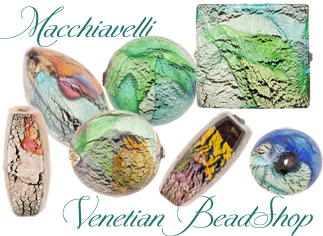 A Venetian Bead Shop Exclusive. 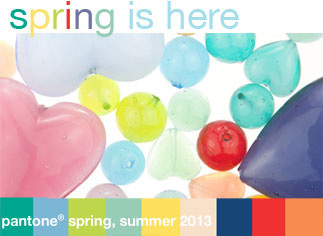 Pantone Spring and Summer Colors 2013. 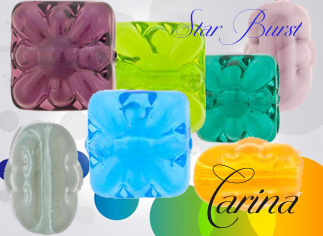 They are in luscious pastel colors to cool you down on those hot summer days.